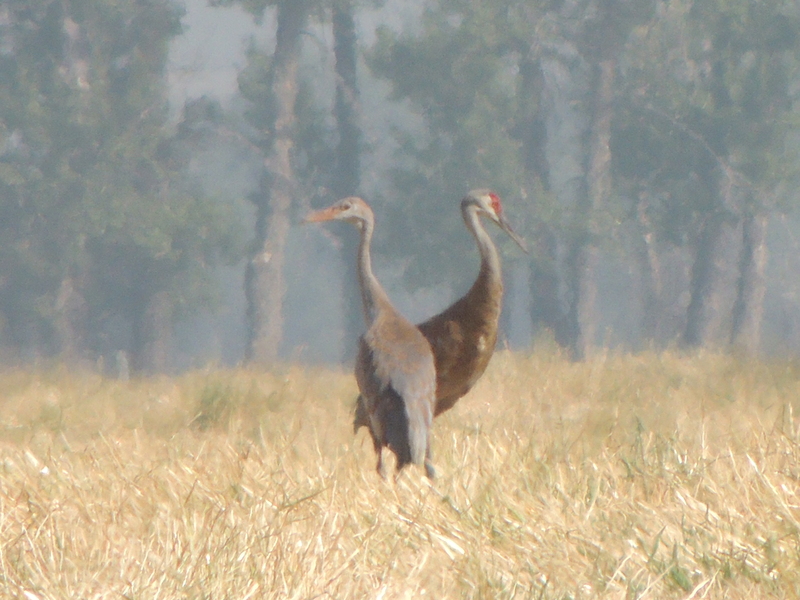 This entry was posted in Birding, Montana, Nature, Photography, Wildlife and tagged Sandhill cranes, smoky meadows. Bookmark the permalink. 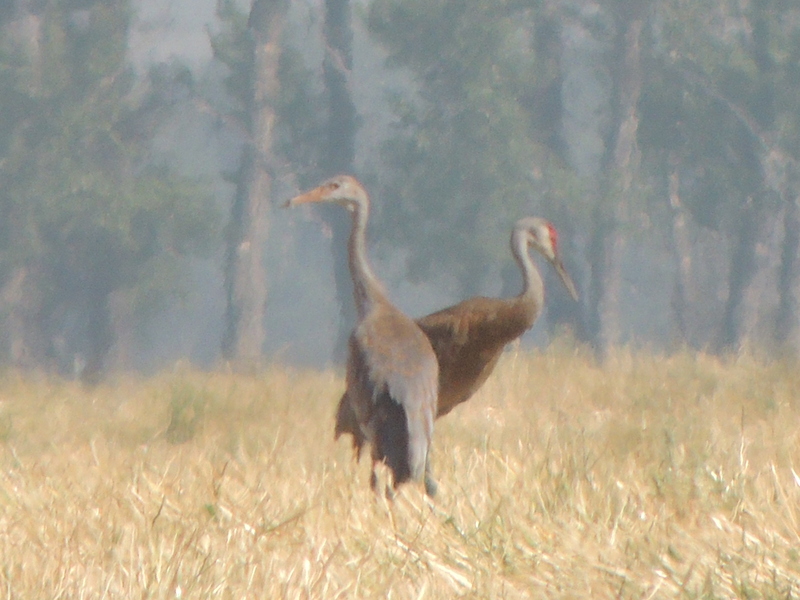 Oh my, look at all of that smoke, but the cranes are beautiful. The smoke is even worse today. We’re surrounded by fires, I think. The critters must wonder what’s going on when this happens! 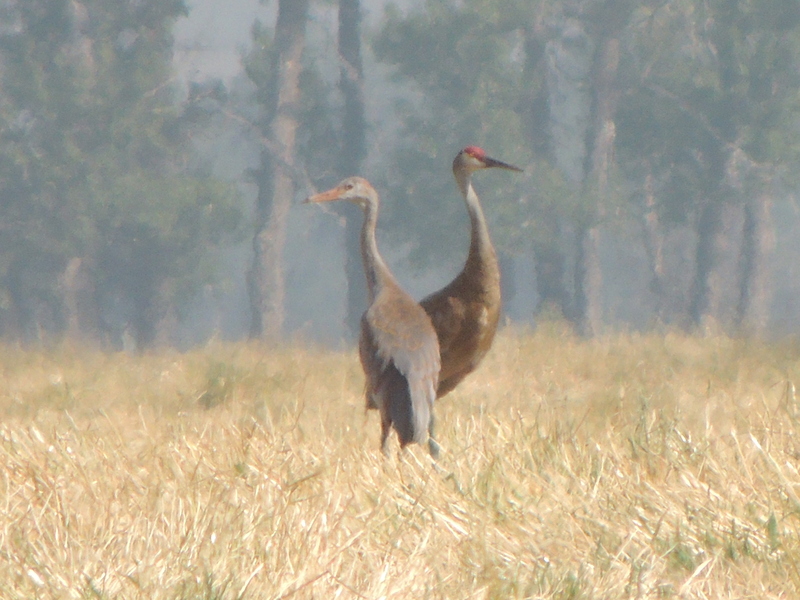 It’s like choreography for a sandhill crane dance! Guess what state’s plate I spotted on Thursday? First one since 2011! Wow! Wonder if I know them. It’s a Veterans plate on an older Subaru Outback. I spotted it in the hospital parking lot, and a nurse friend who works there said it belonged to a summer staff member and would be leaving on Sunday (i.e., today). So I lucked out. Of course it’s an Outback! There are more of them in Montana than anywhere I’ve ever been. Don’t think I know them, though. 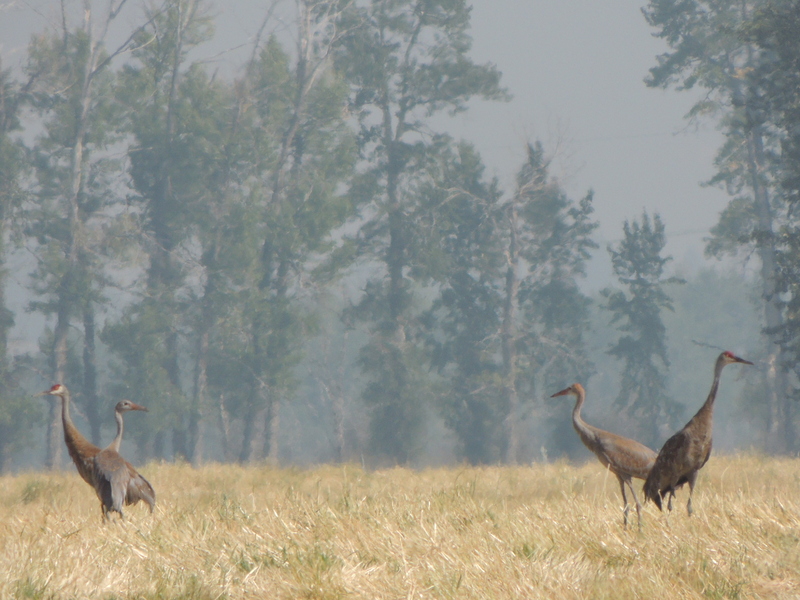 I like your spirit, Cindy, in utilizing the smoky background to embrace the cranes in a surreal way. 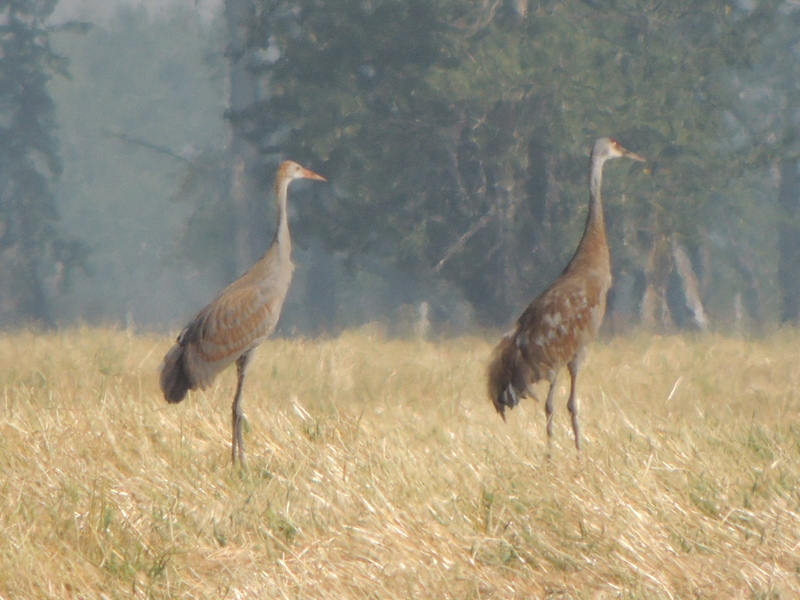 I really like how you’ve eased these wonderful crane photos into a sort of impressionistic painting. We have many smoky days here in Calif. lately, too, and there isn’t much one can do but hope all the beings find safety and that it ends soon. I wish you the best…. Thank you, again, for your kind comment. Yes, here’s hoping for some rain and relief for everybody affected by these fires.